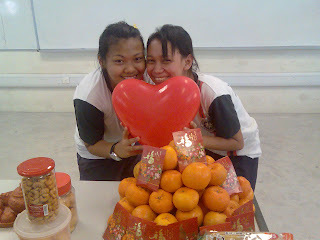 CNY celebration!!! ftp'sjab!! so fun!! haha!!! 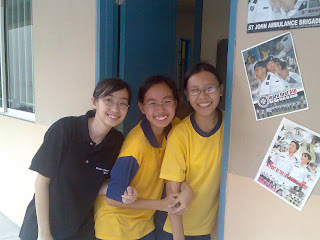 comfirm number of sec1!!! 20!!! wohohoho!!! 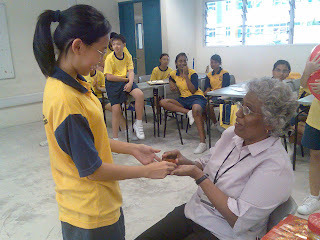 1st time sia!! haha!! 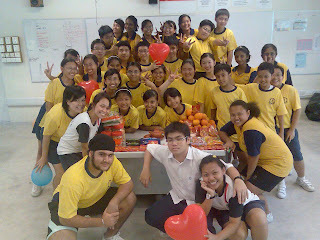 this is my corp.. not complete de la.. coz few got rehearsal and remedial.. but, this corp pic is still veri nice.. haha.. Tea Ceremony time!!! haha!! 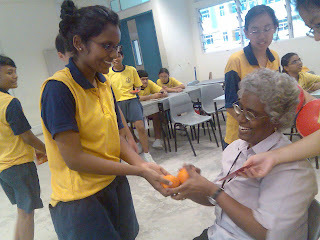 all the NCOs serve tea to teacher.. 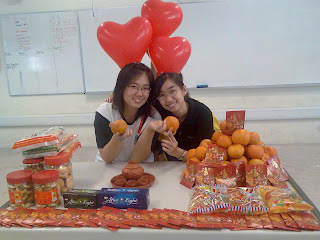 The whole corp take Mandarin Orange to "Bian Nian" and teacher will give them a Red packet!! haha!! inside of coz is the Gold Coin chocolate la.. lOl.. isnt it nice to let the non-chinese cadet to have the feeling of Chinese New year?? haha..
Time to eat!! don worry!! all is HALAL!! 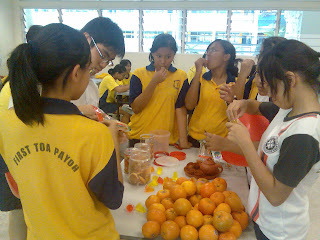 so that the muslim cadet also can eat the chinese new year finger food.. yepyep... this is the 1st time i see them all eat and pass around the food as a whole corp.. haha.. So cute!! see the little Mouse?? 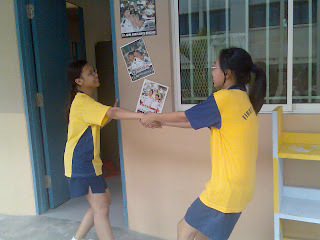 my sec1 ask mi to take this pic.. whahaha!! 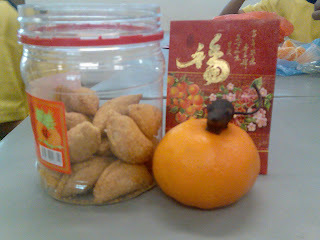 How many Shuang bao tai is there in ftp'sjab?? haha.. YH shld be in the pic too.. haha..
See how yijun bully the sec1.. lOl.. k la k la.. todae was quite nice.. tml is my ppt presentation.. and!!! woho!!! free free!!! 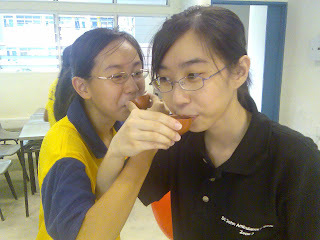 den it's time to wait for final year le..
Chingay cumin too!! woho!! i wanna watch it!! !